Ridley Scott has been a visionary filmmaker dating back to 1978 and Alien followed by 1982’s Blade Runner which to this day is one of the best sci-fi films. However, over the past few years, acknowledging Scott does try different genres as evidenced by the drama A Good Year and spy-thriller Body of Lies, his touch has been lacking. No doubt he assembles some of the best craftsmen and women but the passion has been missing from Prometheus to the utterly awful The Counselor, which I kind of hoped was due to the recent passing of his brother. 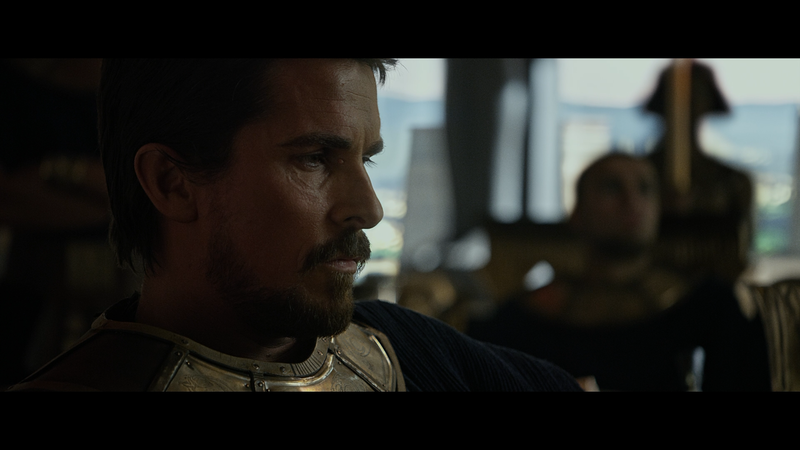 Now Scott is back, reconnecting with this inner Gladiator in Exodus: Gods and Kings, an action-adventure spectacle which features impressive costumes, incredible set designs and a respectable cast. But that’s where the compliments end because at its core, Exodus comes across as empty, at times even soulless and others unintentially hilarious in particularly during the ten plagues phase. Our story opens in 1300 BCE with Ramses (JOEL EDGERTON), son of Egyptian Pharaoh Seti (JOHN TURTURRO), and adoptive brother Moses (CHRISTIAN BALE). The pair seem to get along with a mutual respect for one another, diving into battle with Moses eventually saving Ramses from certain death as foreseen by a high priestess (INDIRA VARMA) with a vision that the man who would save the leader would himself be the leader (or some such jargon). 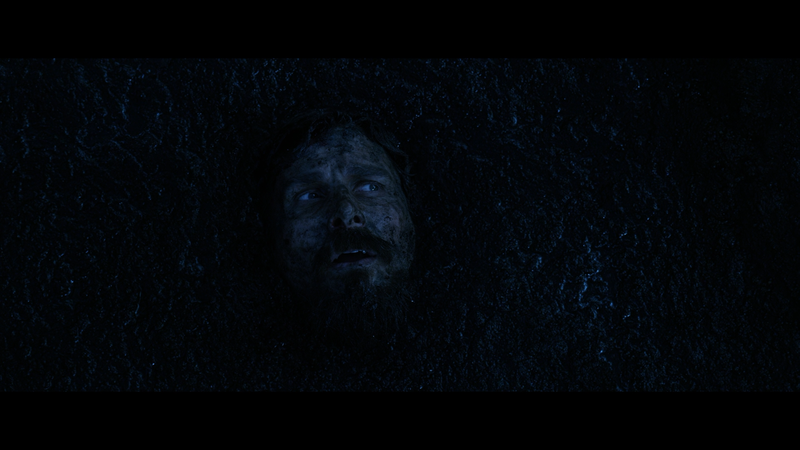 When Moses travels to Pithom to meet with Viceroy Hegep (BEN MENDELSOHN) who oversees the Hebrew slaves; he also steals a bit of the riches for himself. While in the city, he meets one of the Hebrew tribe leaders named Nun (BEN KINGSLEY) who reveals Moses’ true lineage: that Moses was Hebrew born and sent down the river where he would be found by the Pharaoh’s daughter and the rest was history. Despite the meeting supposedly being kept secret, two Hebrew’s overhear this and report it to Hegep, who already doesn’t have a high opinion of Moses. Upon Moses return to Memphis, Seti falls ill and eventually dies leaving Ramses as the new Pharaoh of Egypt. When Ramses receives the story of Moses true heritage, and threatening to kill Miriam (TARA FITZGERALD) – who is in fact Moses’ sister posing as a servant, confesses that the story is true – Ramses is conflicted but goes against his mother Tuya’s (SIGOURNEY WEAVER) judgment that Moses should be killed and instead outcasts him for what would be a struggle through the desert. However, Moses overcomes the odds, even escaping two assassins hired by Tuya, and makes his home in a small village, falling in love with and marrying Zipporah (MARIA VALVERDE) and the two have a son together. But something isn’t sitting right with Moses knowing his fellow Hebrew are still enslaved and conditions under Ramses are worse than ever before. So, Moses abandons his family, much to the disgust of his wife and child, setting out to make change with the guidance of God who appears to only him as a young boy (ISAAC ANDREWS). Cue plagues, stubbornness and visual effects. 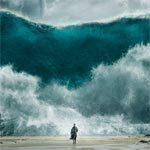 Exodus: Gods and Kings, going beyond the liberties it takes with the source material, is quite the bland movie in spite of impressive visual effects and an at least earnest performance by Christian Bale but everyone else are pretty forgettable. Outside of his appearance, Joel Edgerton doesn’t make much of an impression; I didn’t even realize Aaron Paul and John Turturro were even in this (heavy make-up, beard, etc); Ben Kingsley only has a couple scenes and though his character is important, he doesn’t get to do that much; and Sigourney Weaver was more or less relegated to a side character and has maybe a total of 5-minutes of screen time and that might be a conservative estimate. 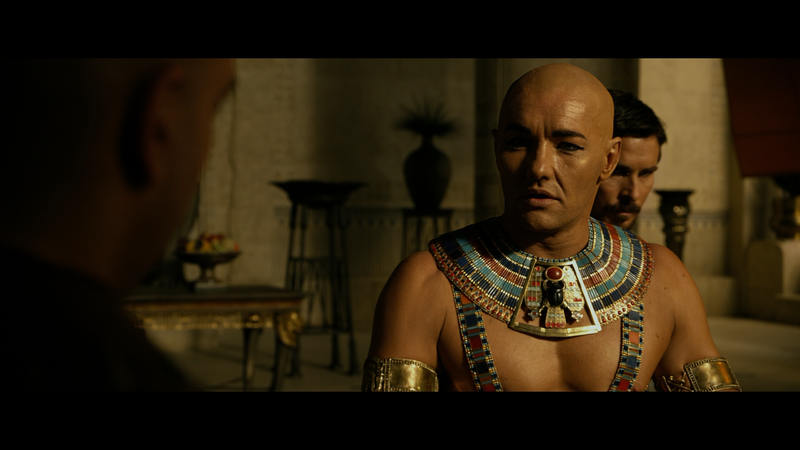 On the plus side, the movie did provide me with some unintentional funny scenes, primarily when the plagues begin striking Egypt, each subsequent one more laughable than the next, though when God gets to the last one, it is a downer… Save for that one, it came across almost like a comedy bit where as Ramses is personally effected, he becomes comically defiant. Between The Counselor and now Exodus, and I suppose for a fair number Prometheus, Ridley Scott hasn’t exactly been hitting homeruns of late. With this film, I think he was trying to re-create his glory days of Gladiator and instead we get 150-minutes of a lot of impressive sets and costumes but an empty, even emotionless, story. So empty in substance, 30-minutes could’ve been trimmed and not have been missed. This release comes with a reflective and semi-matted slip cover. Inside is a redemption code for a Digital HD copy. Unfortunately the features are limited with the bulk on the 3D combo pack. Audio Commentary – Producer/Director Ridley Scott and Co-Writer Jeffrey Caine provide an efficient and informative track and as always Scott is engaging giving anecdotal stories from the set and on the background of the project. 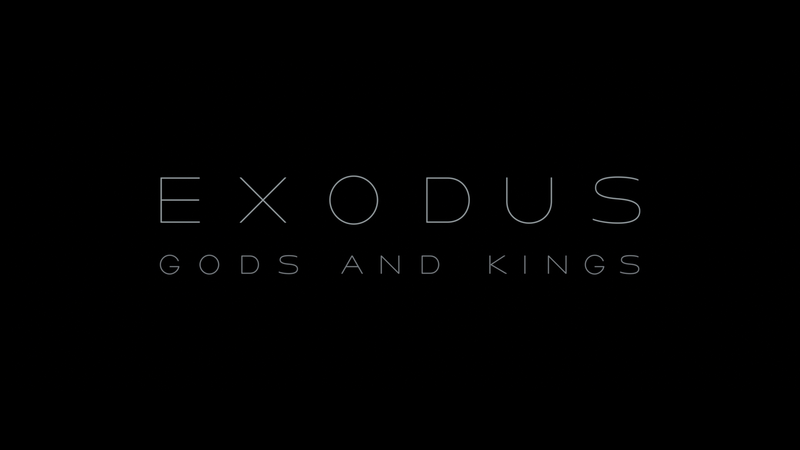 The Exodus Historical Guide is a pop-up trivia track that plays along with the movie giving tidbits about the history behind the Exodus. Really worthless. Deleted/Extended Scenes (14:57; HD) includes nine scenes that were ultimately removed for one reason or another and I wouldn’t be surprised if some of these, and some maybe not included, make their way back in for a Director’s Cut. 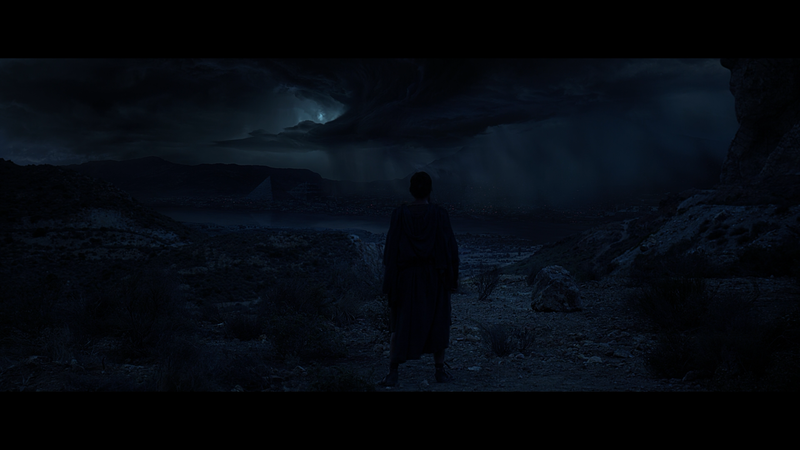 Exodus: Gods and Kings parts the Blu-ray sea presented with a 1080p high-definition transfer and shown in its original 2.40 widescreen aspect ratio. The video offers sharp detail levels throughout and colors appear to be a bit darker though that is intentional in keeping with the tone of the story. There weren’t any apparent signs of aliasing, artifacts or other flaws making for a near reference quality work. The 7.1 DTS-HD Master Audio track makes use of each and every channel from the lower range providing crisp dialogue levels to the more action-oriented scenes including the opening war sequence to the finale. It’s a solid lossless track that has good depth and is quite dynamic as the LFE channel would often kick on. As with the video, it’s not quite reference quality, I can think of a few better movies to display, or anything but impressive nevertheless. 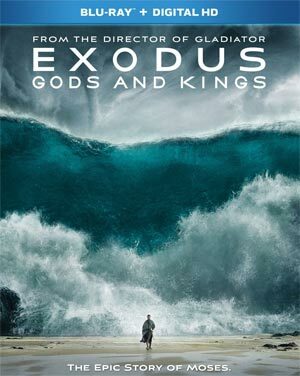 In the end, Exodus: Gods and Kings had the best of intentions especially in the technical departments from costumes, construction and visual effects, but for all the talk and lengthy running time, it all feels empty, void of any interesting actors not to mention some unintentional humor. The Blu-ray release offered by Fox is pretty basic with an OK commentary track and selection of deleted scenes, but little else given the bulk of features were reserved for the 3D Blu-ray combo pack.